NEW TAIPEI CITY, Taiwan October 8, 2017 – World No. 1 Japan defeated rival/No. 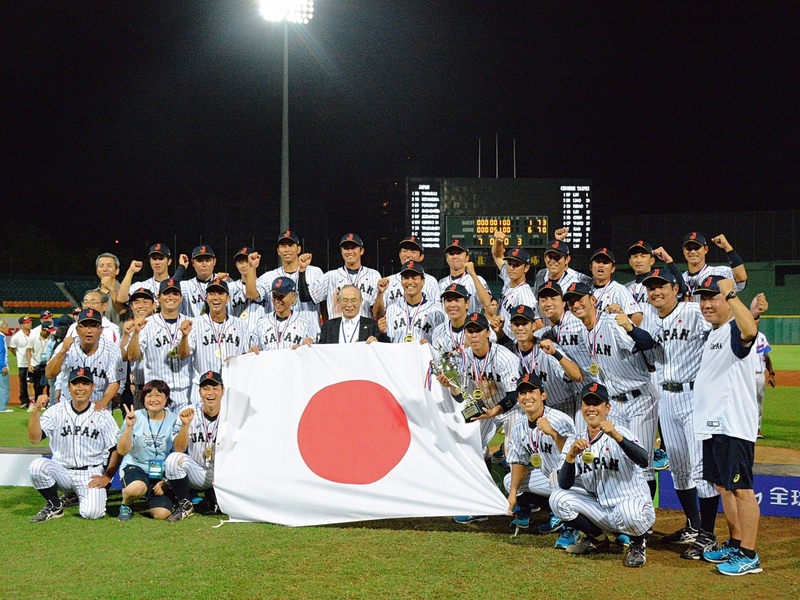 4 Chinese Taipei, 6-1, to win the Asian Baseball Championship at Hsing-Chuang Stadium. Prior to the final game for the Asian crown, No. 3 Korea captured the bronze medal with a 15-0 win over No. 47 Philippines. Finishing among the top three in the Baseball Federation of Asia (BFA) continental championship, Japan, Chinese Taipei and Korea have qualified for the WBSC U-23 Baseball World Cup 2018. The Asian representatives join European U-23 champion Netherlands and runner-up Czech Republic as the first 5 nations earning tickets to compete For the Title of World Champion at the 12-nation U-23 Baseball World Cup next year. The inaugural Pan American Confederation of Baseball (COPABE) U-23 Americas Championship (23 November to 3 December) in Panama City, Panama, will qualify five countries into the U-23 Baseball World Cup. The final results of the Asian Baseball Championship will be calculated in the WBSC Baseball World Rankings Presented by ENEOS.